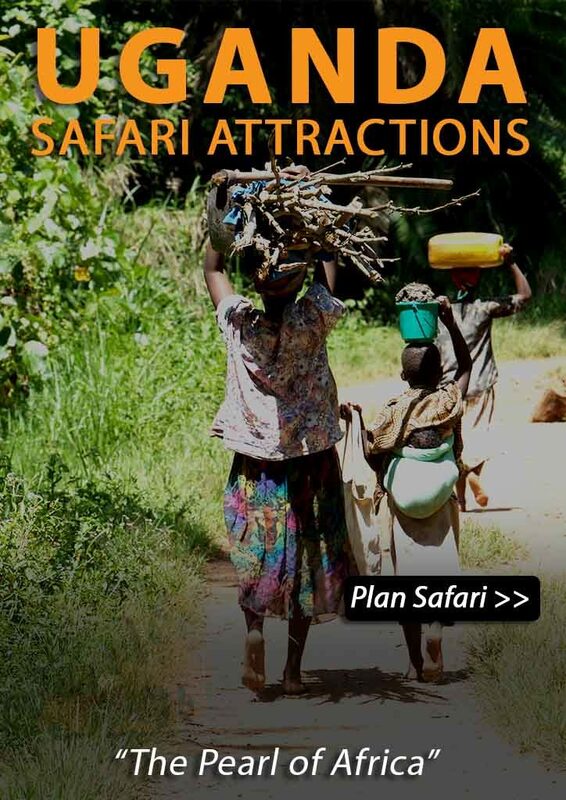 Experience Uganda in a safe but inexpensive way. All the major highlights will be served in this 11-day tour and all accommodation have been selected for their value and location. This is a private tour. You will be picked up from Entebbe airport by a representative of your accommodation for tonight. You will meet your driver/ guide tomorrow morning when he picks you up from your hotel. 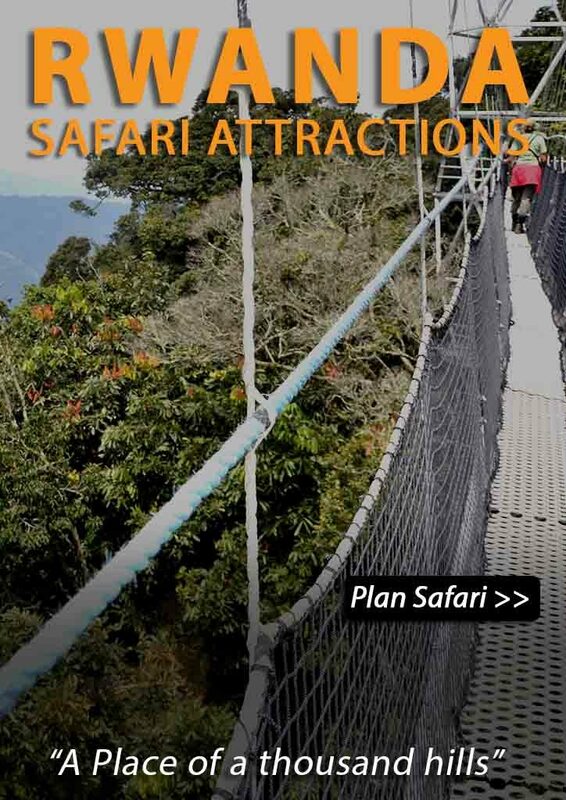 Depending on the time of your arrival, you might be able to do some optional activities in Entebbe; for example a visit to the Botanical gardens or the Ugandan Wildlife Education Centre (UWEC). Please note that all activities today are at your own cost. In the early morning you will be picked up from your accommodation by our guide. The journey today goes – across Uganda – to Murchison Falls National Park. he park’s name derives from its famous waterfall: the mighty Murchison Falls. The Nile River divides the park into its north and south sections. At the spectacular Murchison Falls the world’s longest river explodes violently through a narrow cleft in the Rift Valley escarpment to plunge into a frothing pool 43m below. A game drive in the park allows you to be eye-to-eye with the African animal kingdom featuring elephants, giraffes, buffaloes, lions, leopards, different species of antelope and many bird species. On arrival in the park, you will for your first game drive in the park. At the Ziwa Rhino Sanctuary you will go – together with an experienced ranger – for a safari tracking to the rhinos. You will see the rhinos in a very close range! Kidepo Valley and Murchison Falls National Parks once had both black and white rhinos; however widespread poaching during the Idi Amin era resulted in the disappearance of these majestic animals from the wild. Founded in 1998, Rhino Fund Uganda works to reintroduce black and white rhinos into Uganda and runs a breeding program. Get ready for an early wake up today! In the early morning hours animals are the most active, the sun is not yet so bright and temperatures are cooler. It offers the best time to spot wild animals. After an early breakfast you will go out on a game drive to explore the northern part of the park. Come eye-to-eye with the African animal kingdom: elephants, giraffes, buffaloes, lions, leopards, different species of antelope and many tropical birds may all be spotted during the game drive. 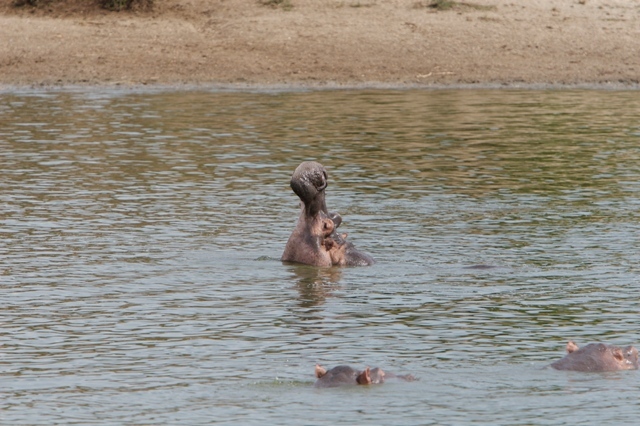 So keep your eyes open, they are all there in Murchison Falls National Park! In the afternoon you will take a boat safari up the Nile River to Murchison Falls. Carefully watched by crocodiles, hundreds of hippos, buffaloes, water birds, monkeys and all the other thirsty wildlife that the Nile attracts, you will reach the base of the 43-meter high Falls which approach with a thunderous sound. After the boat safari you will hike to the top of the falls. From here you have a wonderful view and fantastic photo opportunities! Budongo forest is located in the southern part of Murchison Falls NP., and has the highest number of wild chimpanzees of Uganda. The habituated groups are located in Kaniyo Padibi, where you can go for chimpanzee tracking. Budongo Forest has an incredible biodiversity that – beside the chimpanzee – includes several other species like the Blue monkeys, Red-tailed monkeys, Vervet monkeys, black and white Colobus monkeys and Olive baboons that you might run into! Possible on day 3 in the early morning – (shorter) morning game drive can be done after the balloon safari. After an early breakfast it is time to leave Murchison Falls NP and to continue your tour to Kibale Forest National Park. The drive is long, but incredibly scenic, passing through tea plantations and the lush green countryside which characterizes so much of Uganda. You will stay at a your preferred accommodation in Kibale Forest. In the early morning you will go with an experienced ranger for chimp tracking; you might also see other monkey species that live here. Once you locate the chimpanseez you will have a full hour of eye-to-eye contact with them. Since they are wild animals, we can never guarantee you to see them and might have to settle with hearing their hoots and hollers. After the chimpanzee tracking you will continue your journey to Queen Elizabeth National Park. Day 6: Queen Elizabeth N.P. Today in the morning you can go for another game drive in Queen Elizabeth NP, or you can choose to do one of the optional activities we offer in Queen Elizabeth (see below). Then, you will proceed to the southern part of Queen Elizabeth National Park, to the so called Ishasha area. While lion cubs around the world frequently climb trees for fun, adults rarely do. The adult lions in Ishasha are an exception to this. It is thought that they sit in the branches to get away from the tsetse flies and to enjoy a cool breeze. If you are lucky you might spot a few during your game drive! After breakfast you will continue your journey to Lake Bunyonyi; also called the lake of the little birds. The volcanic lake is bilharzia-free and safe for swimming and canoeing. You will stay at your preferred accommodation for the coming two nights, a wonderful place to relax, explore and enjoy the spectacular landscape and beauty that is portrayed before you as Lake Bunyonyi. Today is the big day for gorilla trekking, meet Uganda’s gentle giant! For most people this is the absolute highlight of their tour in Uganda. After breakfast, you will continue your journey to Lake Mburo National Park which is one of Uganda’s smallest parks, but certainly not to be underestimated. It is the only Ugandan national park (besides to Kidepo Valley NP) which is home to zebra, eland and impala, as well as an abundance of other wildlife like the giraffe. The lake itself is full with hippos and crocodiles! You will stay will stay at your preferred accommodation just outside the park boundaries. This morning you will go for a bush walk. Lake Mburo N.P. is one of two parks in Uganda where bush walks with an experienced ranger are permitted. This opportunity should not be missed. From footprints and animal droppings the ranger will be able to tell you which animal has left it and how long ago. It is exciting to approach wildlife at such close range. 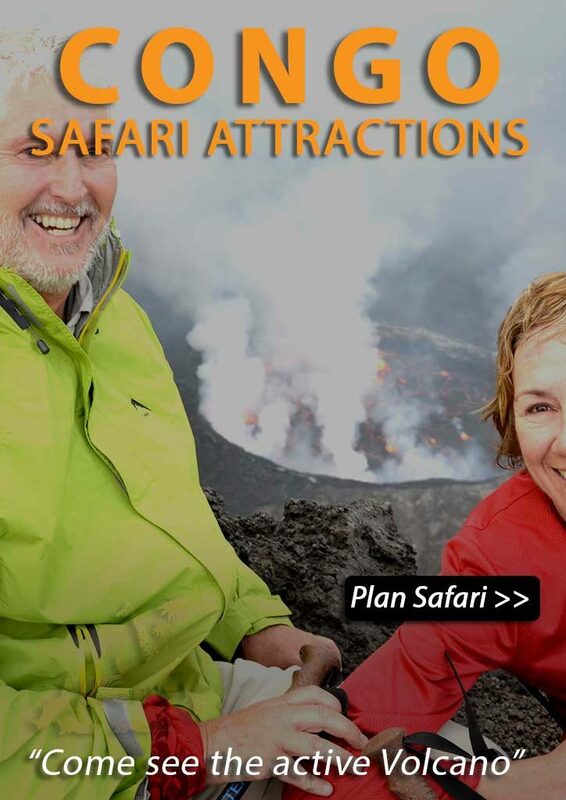 Our standard offering for budget tours is a 4wd minibus with pop-up roof for easy safari viewing. All passengers will have a dedicated window seat. Your professional and courteous driver/guide will be at your disposal for questions or translations. The extra cost for this option is $50 per day. *Divided by the number of persons traveling; not per person. There is , of course, an pop-up roof for an excellent safari view. The extended landcruiser is suitable for a maximum of 7 persons. The extra cost for this option is $120 per day.